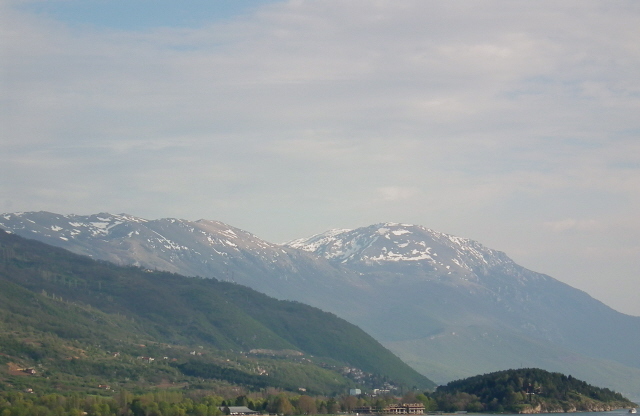 A small landlocked country in the southern Balkans wedged in between Bulgaria to the east and Albania to the west, Kosovo and Serbia to the north and Greece to the south. It is one of the new states that have emerged out of the break-up of Yugoslavia, from which it became independent in 1991. This happened without the violence and war the break with Yugoslavia caused elsewhere, especially in Bosnia and Herzegovina and Croatia. Yet troubles ensued from ethnic clashes with Albanian insurgents in 2001. What nagged the new Macedonia most, though, was the refusal of Greece to let it use that name as the country's stand-alone designation. This is because there's a region of the same name in northern Greece (bordering the disputedly named country), and Greece also claims a historical "copyright" for it. Thus the new state was forced to grudgingly adopt the official name "Former Yugoslav Republic of Macedonia", abbreviated to the unfortunate-sounding FYROM. 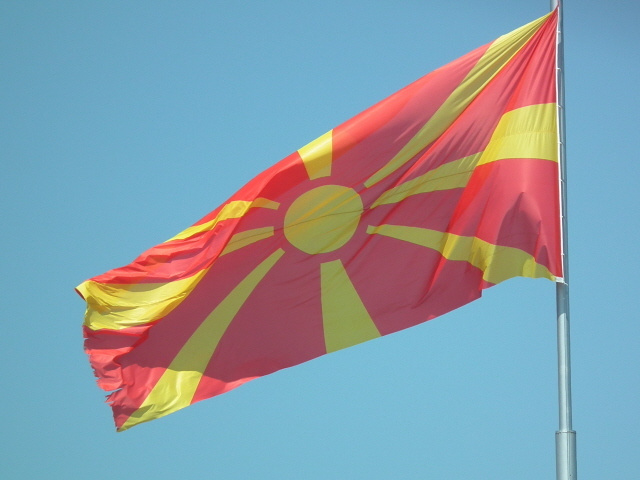 The dispute is ongoing, though many countries have resorted to referring to the FYROM Macedonia more concisely as the "Republic of Macedonia" ... to the annoyance of the Greeks, in turn. At least it's only a linguistic squabble, without leading to any kind of warfare. Thus none of this more recent history is the reason the country gets a mention here as a dark tourism destination. Instead one reason it's mentioned here has to do with WWII history, more precisely the part of the Holocaust that reached Macedonia when the country came under the rule of the Axis powers, i.e. primarily Nazi Germany. Though nowhere near as horrific in absolute terms as in other countries (esp. Poland or Hungary), the Holocaust in Macedonia still wiped out 98 % of the country's Jewish population of over 7000, who were rounded up and sent to the Treblinka death camp in 1943. As recently as March 2011, a new Holocaust memorial museum, commemorating this dark chapter of Balkan history, was opened in the capital city Skopje. Skopje also had its share of tragedy in the post-WWII Yugoslav era, namely when it was struck by a devastating earthquake in 1963. 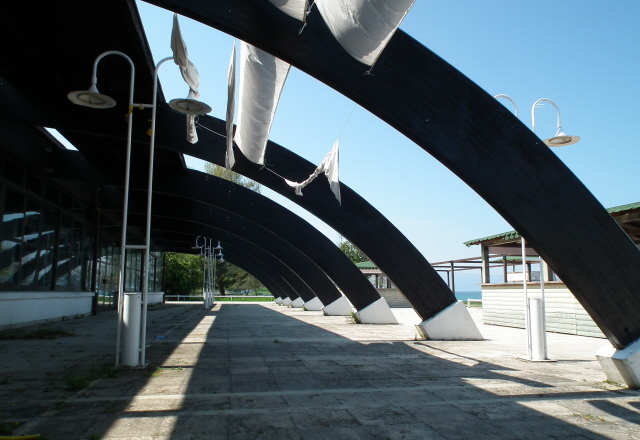 The partly collapsed former train station still serves as a memorial to the disaster. Those two sites aside I am not aware of any other dark tourism destinations in Macedonia. The country is much better known for its non-dark charms and beauty. And of these, the UNESCO World Heritage town of Ohrid is usually regarded as the prime attraction, often called "the pearl of the Balkans". 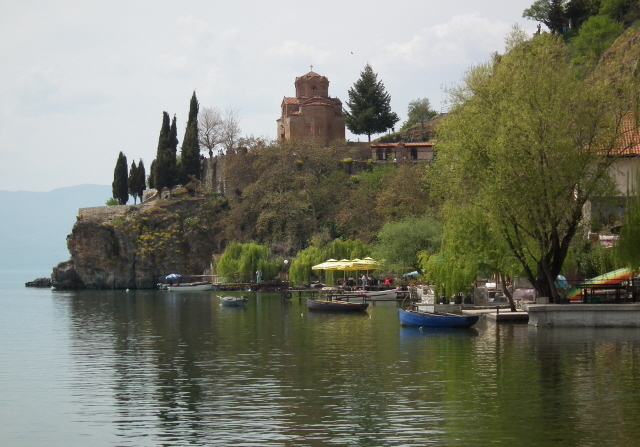 When I visited Ohrid, however, I soon had it confirmed that I am really not a mainstream tourist who is cut out for places like this. 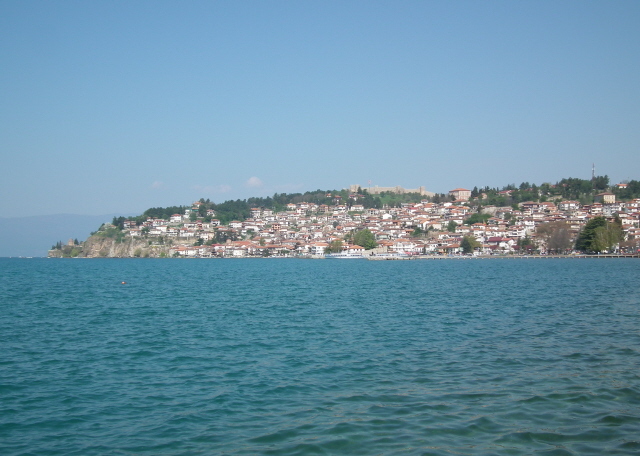 The old town of Ohrid is undeniably picturesque – very much so in fact. It's marvellous. The setting, too, could hardly be more scenic: right on the shores of Lake Ohrid, one of Europe's oldest and deepest lakes (with a unique fauna), ringed by mountains that remain snow-capped well into the year. It's all prime picture postcard material. But there are all the hallmarks of mass tourism too – scores of fast-food joints, countless tacky souvenir stalls, hawkers hassling passers-by to buy anything from ice cream to overpriced "water taxi" rides. Moreover, even though I was there well before the high season, namely in late April (2011), the place was already swarming with tourists. I don't want to begin to imagine how horrifically crowded the place must get in the height of summer. In short, for me the experience was spoiled by how touristy Ohrid was. But who am I to pass judgement on a standard tourist place like this. Don't let me discourage you from going and seeing for yourself. Everyone else seems to like it very much. Getting around Macedonia is fairly easy – buses are the main means of public transport. 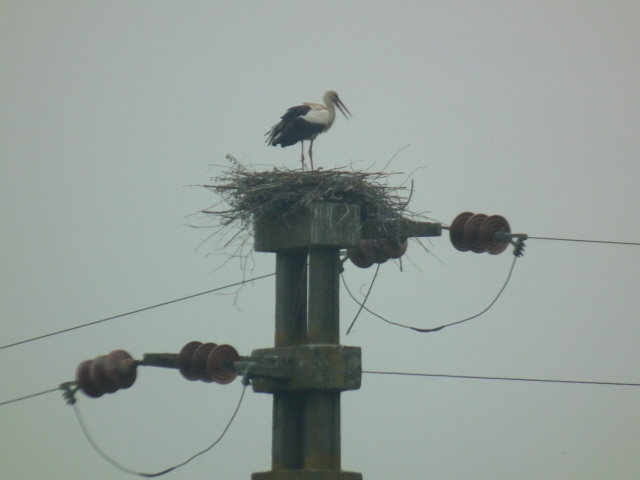 And I found them modern, efficient and cheap. Skopje's bus station often gets lots of praise for being very foreign-tourist-friendly and nowhere near as grotty as these places usually are in other countries. In culinary terms, Macedonia is basically the same as the other Balkan countries. Meat eaters will be spoiled for choice of grilled animal body parts (though minced up appears to be especially popular); fish is also widely available, especially in Ohrid, as you would expect given the lakeside location – although I've read that the Ohrid trout you can find on many menus is imported from the Albanian side of the lake, as the species is actually protected and cannot be legally fished in Macedonia! However, staying vegetarian is no problem, as elsewhere in the Balkans, you can easily stick to salads, starters and a range of veg and cheese mains. Macedonian wine, going by the couple of drops I sampled, also seems to be as good as in neighbouring countries – and can be remarkably cheap too. Many of the Macedonians I encountered in the few days I spent in the country spoke very good English – in fact it was only once, in the bazaar in Skopje, that one vendor didn't speak any English at all himself but instead simply fetched a colleague who did, which only took a few seconds.